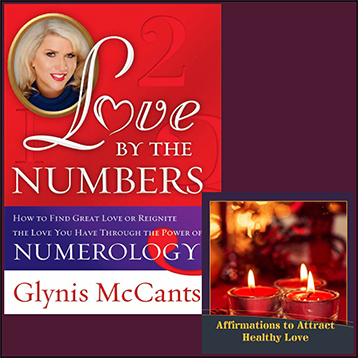 This Kit consists of the book Love By The Numbers and the CD set called Affirmations to Attract Healthy Love. If you are single, the book will help you pick the right partner, and if you are in a relationship it will help to enhance the love you have. The CD set gives you Affirmations to attract a healthy love relationship or improve the relationship you are in today. Many of our clients report back to us that they find by doing the Love Affirmations daily, people in general are much kinder to them throughout their day to day life!You Save $10.00 on this Cd set when purchased as a kit with the Love By The Numbers book!